If your child is interested in doing chores in order to earn an allowance, a necessary piece of making this attitude permanent is through the use of allowance charts around the house. Allowance charts will help your child know what jobs need to be done and when in order to earn their reward and be given their allowance. 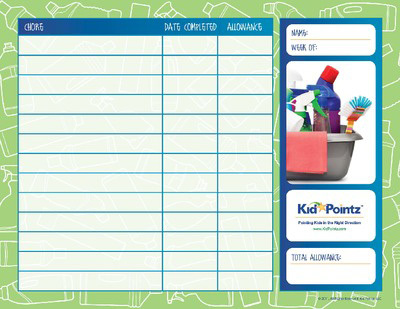 Allowance charts will help kids stay engaged, motivated and learn about goal setting.